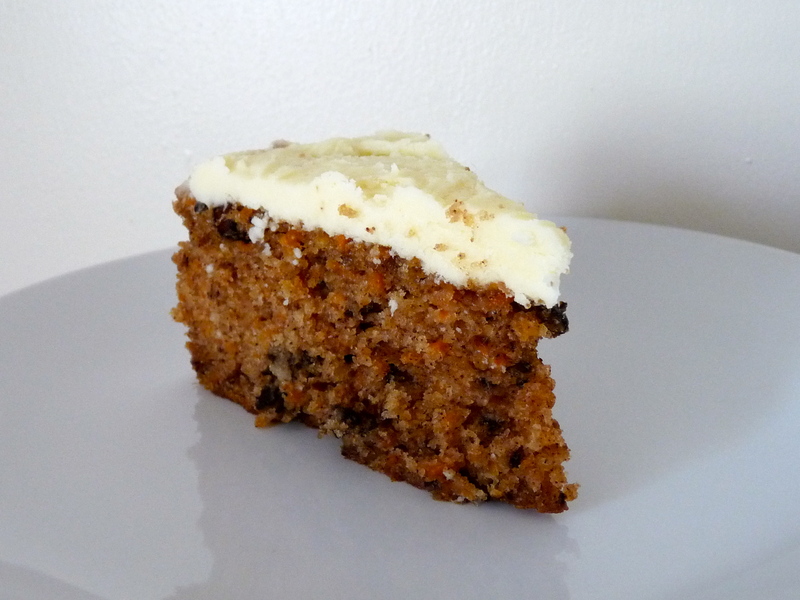 I finally made my first carrot cake after two years and half in London. Actually, I am really happy with the result and pleased to share my recipe. For French, carrot cannot be part of a dessert as it is a vegetable but the first time I eat a carrot cake, I was nicely surprise by the taste. I definitively think that this is one of the more amazing cake in the United Kingdom! In a bowl, mix together the flour, the baking powder, the baking soda, the spices and the salt. Make a well. In another bowl, whisk the eggs and add the sugar keeping whisking to get a cream. Trickle the oil. Pour this mixture in the flour well. Mix with a wooden spoon, then add the grated carrots and the walnuts. Stir well. Pour the mixture in a tin and bake for 55 minutes at 180°C. Once baked, let the cake cool down before icing it. To make the buttercream, mix all the ingredients. Once you get your buttercream, add it on the top of the cold cake with a spatula. Now you can enjoy your carrot cake!